Offering a great first time buying opportunity, this fresh, bright and supremely easy-to-maintain home puts you in the right spot to get the most out of Mitchelton. It makes an excellent property package as it is well presented throughout with heaps of future potential to increase its value with an update or renovation. The property sits on a large fully fenced 597sqm corner block with frontage to both Marshall and Chessom Streets and comes complete with an extra spacious backyard that is perfect for children and pets. A bright interior layout features polished timber flooring along with three bedrooms, a separate home office and a good-sized open living and dining area. The real highlight of this property is the size of the land: it features generous front, rear and side gardens, as well as an undercover entertainment space and lock-up storage shed. 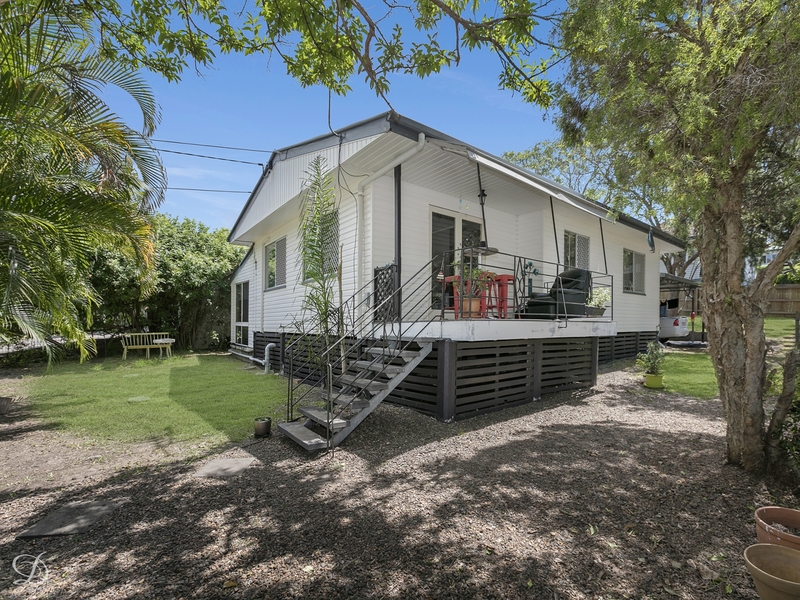 There is also air conditioning, a carport and a covered front veranda that captures a gorgeous leafy outlook.